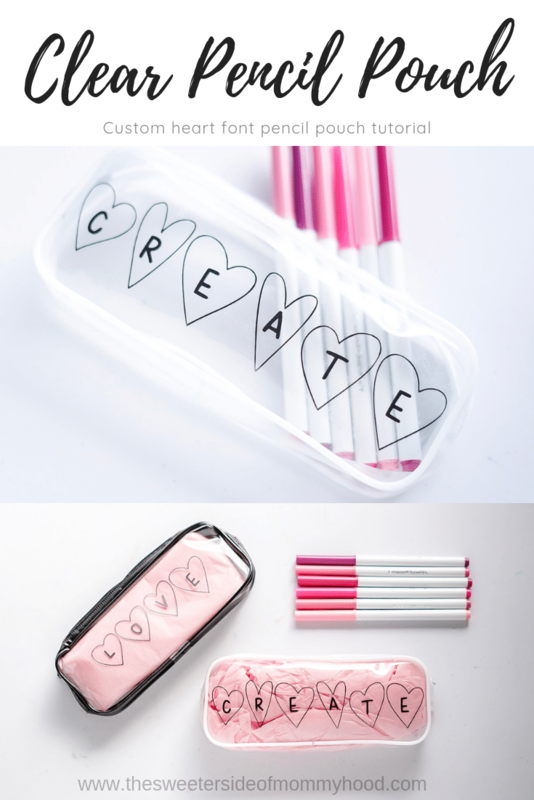 I’ve had this clear pencil pouch project on the back burner for so long and I’m beyond happy to finally be able to get it up on the blog! 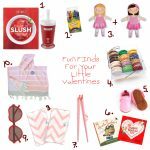 It’s so easy and inexpensive and you definitely still have time to make it for your valentine sweetie. 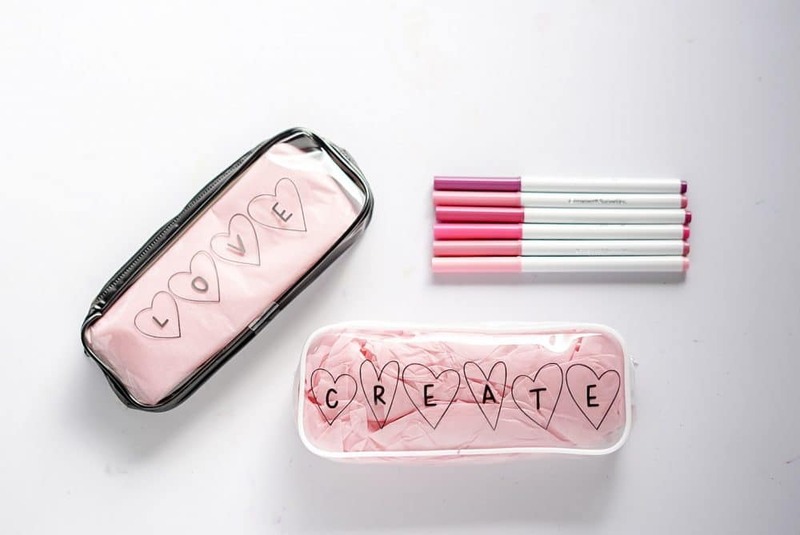 I would fill it with art supplies but you could go the chocolate route too of course. 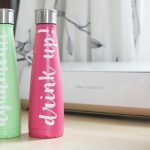 If you’re new to using Cricut vinyl you might want to check out this tutorial where I added some cute vinyl type font to a few swell bottles. 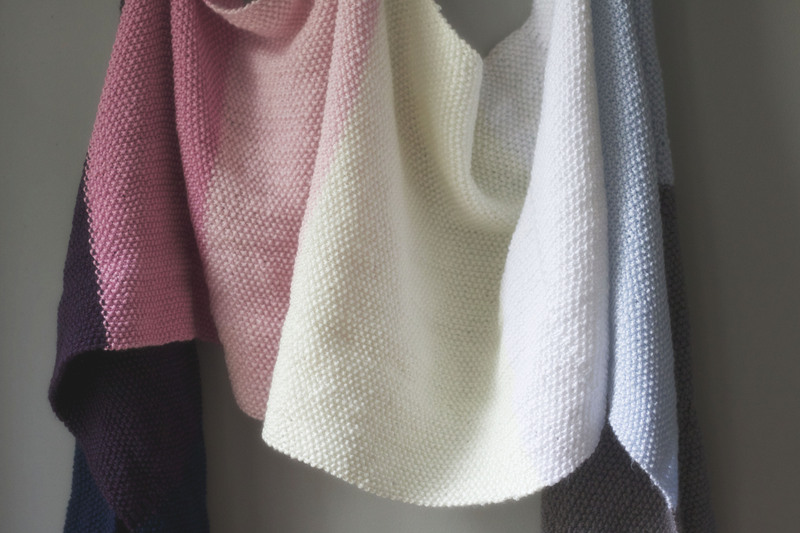 Transfer paper is your best friend for these projects and definitely a must have supply. 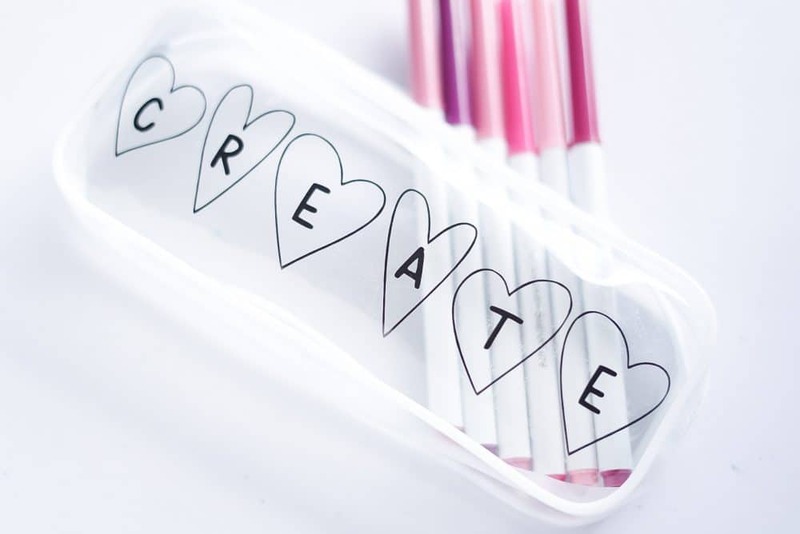 All you have to do for this project is download the All My Heart Eyes font available in my font bundle and type your word or phrase out that you want on your clear pencil pouch in any program you can save as a jpg file. 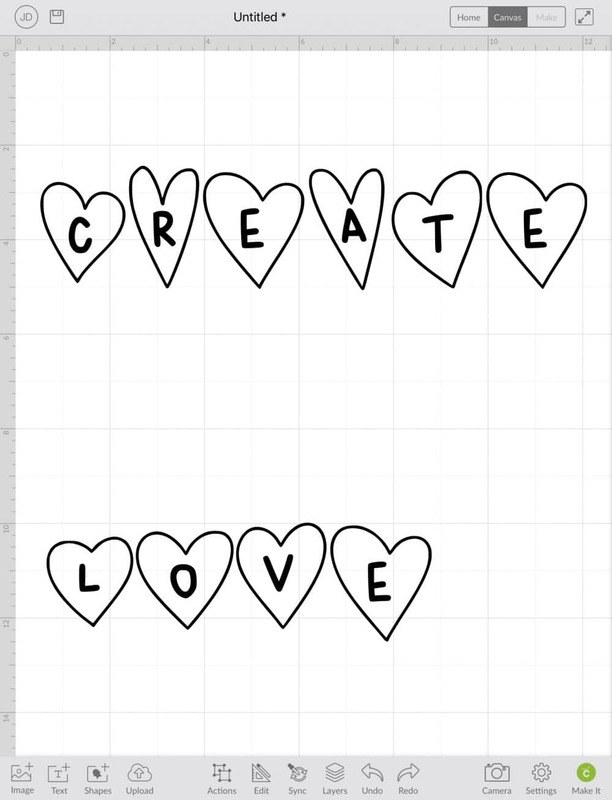 Then you upload that file into cricut’s design space program following the prompts to create a “cut file”. Don’t forget to unclick the little lock icon to be able resize the image freely. I don’t fuss with this too much- I just cut the vinyl into pieces that fit directly where the images are so there is less waste! This works much better for each little clear pencil pouch than laying down a whole sheet of vinyl and having a lot of extra to keep peeling up. Next you need to apply the transfer tape over top of your weeded image. Use a credit card to scrape the transfer tape down firmly. I have found is easiest to get a clean transfer by peeling back the paper at a sharp angel rather than peeling the clear film. Go slowly and firmly. 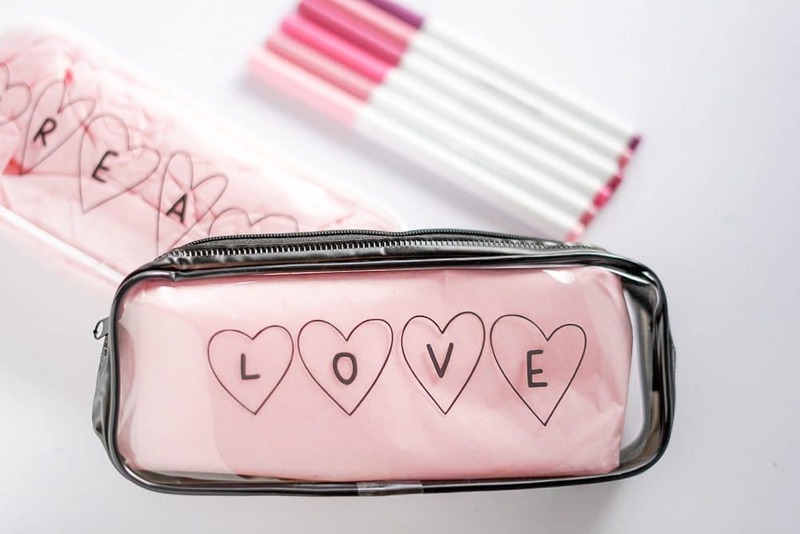 Lay your transfered image down onto your clear pencil pouch making sure it is aligned properly then use your credit card again to make sure the entire design transferred well. Lastly peel back the transfer tape again at a sharp angle. I love how quick and easy these are. 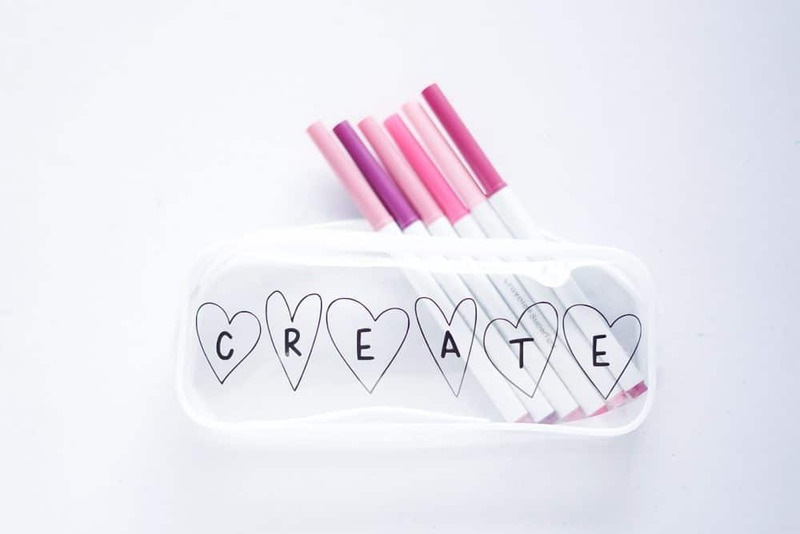 Each clear pencil pouch could have someone’s name or content related words on the front like “markers”, “crochet” or “writer”. 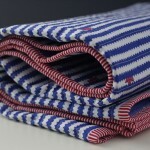 I don’t know anyone would wouldn’t love these! I only wish I had ordered more pouches!